2018 LCD iPhone Appears in Fresh Renders - Playfuldroid! Rumors have it that apart from iPhone SE 2, Apple will be launching three other large-sized iPhones. Two of them are expected to sport OLED display like the predecessor OLED iPhone X from last year and there will be a cheaper iPhone that will be arriving with an LCD panel. It is speculated that all of them will be arriving with notched display design. 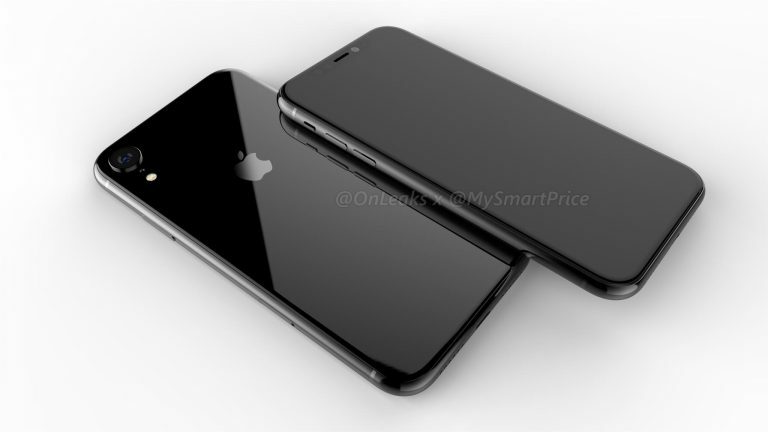 Well-known tipster @OnLeaks has shared fresh renders of the upcoming LCD iPhone. Rumors have claimed that LCD iPhone will be arriving with a 6.1-inch display and @OnLeaks has also confirmed that it will be sporting a same-sized display. Corroborating on the rumors surrounding the smartphone, the tipster has built the renders with notched display design. Since the LCD iPhone will be the cheapest among the upcoming 2018 iPhones, it features a single camera on its rear shell. As far as the dimensions of the smartphone are concerned, the 2018 LCD iPhone will be coming with a thin profile of 7.7mm and including the camera bump, its thickness is 8.3mm. The handset measures 150.9 x 76.5mm. The screen of the smartphone will be supporting an aspect ratio of 19.5:9. Fresh information reveals that the LCD iPhones will be announced with other OLED iPhones in September this year. Since the Cupertino company has reportedly encountered an issue with the incorporation of the notch design on the LCD panel, it is speculated that its market release will be delayed until November this year.